The SVA has awarded celebrated illustrator RozChast with the 30th annual Masters Series Award. Chast’s work has appeared in numerous magazines through the years, but she is most closely associated with TheNewYorker. In addition to hundreds of cartoons and illustrated essays, she has created some 10 covers for the publication, and her nervous sense of humor and energetic style has become intrinsic to its identity. An accompanying exhibition, “The Masters Series: Roz Chast” at the SVA Chelsea Gallery, 601 West 26th Street, 15th floor, New York, NY, will be on view from November 17 to December 15, 2018. 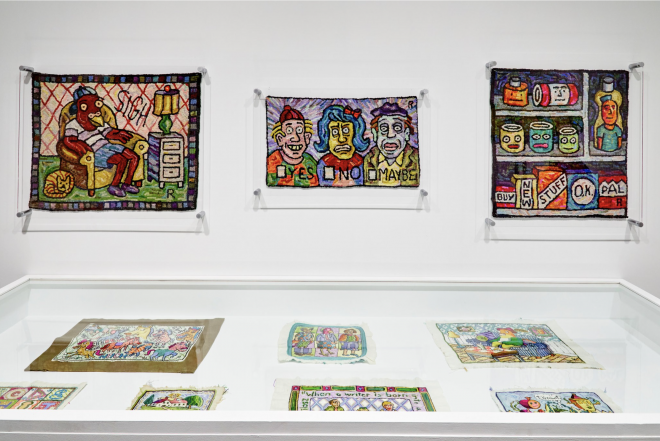 It will be a comprehensive retrospective of her career and will include never-before-seen cartoon and illustration work, selections from her more than 20 books, a new hand-drawn mural, Chast's high school notebooks, embroideries, hooked rugs and hand-dyed pysanky, or Ukrainian-style, Easter eggs.